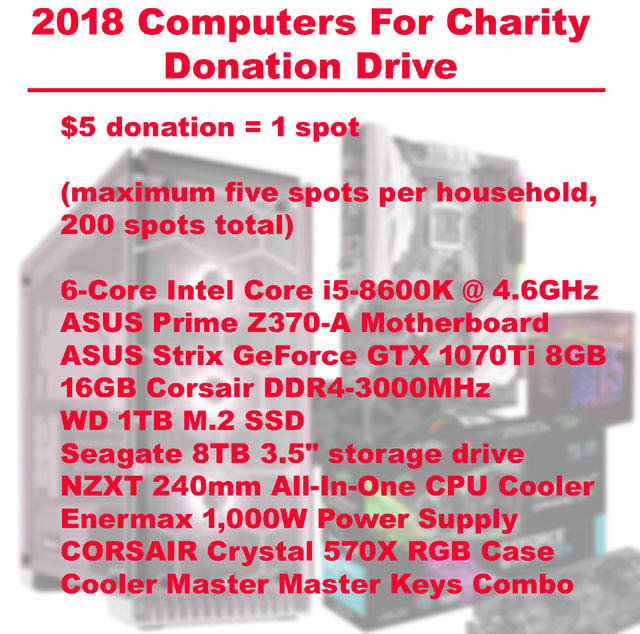 I have a couple AMD AM4 motherboards for our 2018 Computers For Charity Project but no AMD processors...anyone got a line on a source or can point me in the right direction? I just realized all my contacts at AMD are working elsewhere now. While you are here, feel free to donate to a great cause and enter to win this FANTASTIC gaming rig!